Neon is everything we are loving right now and this skirt is at the top of our hit-list. 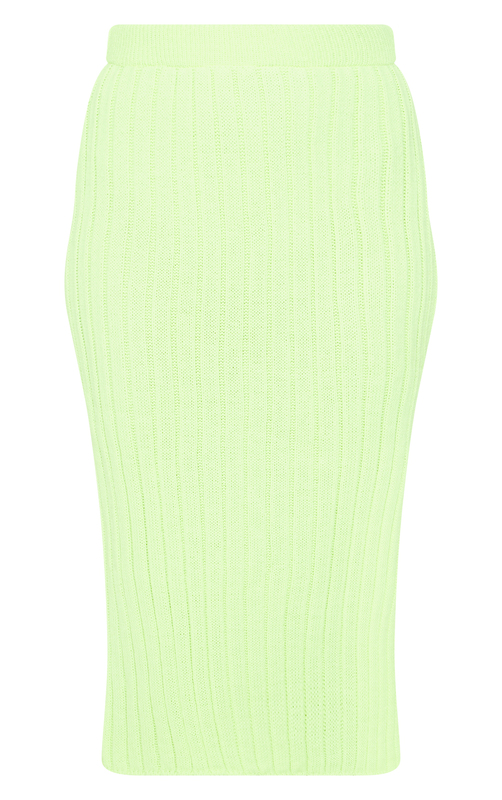 Featuring a neon lime ribbed knitted fabric with a side split and midi length, what's not to love? Team with a lime bodysuit and clear heels for a look we're loving.